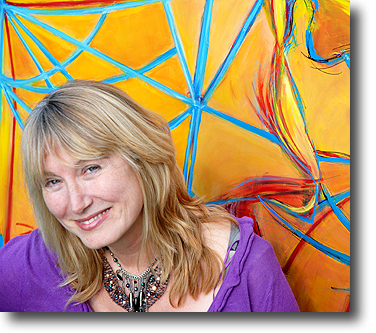 Hilary James gained a BA (hons) in Fine Art from Reading University in the 1970s and went on to complete a Postgraduate Certificate of Education. She subsequently followed a career in music (possessed of ‘one of Britain’s finest voices’ – BBC Radio 4) and has recorded five solo albums, most recently English Sketches. She follows a busy international touring schedule. She is also a fine instrumentalist, self-taught on double bass and guitar, and famously featuring with her amazing mandobass in the Mandolinquents, Britain’s first modern mandolin quartet. With her regular musical partner Simon Mayor she has always maintained a keen involvement in music for children, and still fits in schools performances whenever her schedule allows. She presented and wrote for BBC Schools music programmes for six years and, with Simon, has now written over sixty songs for children. The two have produced seven albums of original music for children, including five in their Musical Mystery Tour series. In 1992, Faber Music published a book of their songs which Hilary illustrated. Her first two picture books for children, I’m a Parrot and Gobble! Gobble! Gobble! were published in April 2011 by TopThat Publishing PLC. In 2004, Hilary rekindled her passion for painting and now divides her time between art and music. When I finished my art degree in 1974 I had intended spending two weeks of every month painting and two weeks singing – music is the other big love of my life – but things don’t always work out as planned. For better or for worse, music took over and I’ve been quite literally singing (and playing guitar and double bass) for my supper ever since… and all the other meals as well. Although art has had to take something of a back seat I have continued to draw family and friends as well as cartoon style illustrations for children. A visit to Wharfedale a few years ago and a chance meeting with the late Geoff Benson, owner of the Artolicana gallery in Ilkley, encouraged me to get the brushes out again. In 2012 I joined a regular life drawing group and have started to delve more deeply into oil portraiture. As a singer, I’ve avoided pigeon-holes and have sung folk, blues, swing and classical with equal joy. And so I re-approached art in the same spirit. Whatever the inspiration for a canvas, it’s important for me to capture and to communicate the moment, be that laughter, contemplation, movement, or whatever.